Looking forward to part 2, David. The title and the soundtrack were why my friends and I went to see it in Christchurch. It depicted something we knew existed but hitherto had no way of seeing. 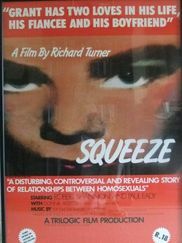 I enjoyed Squeeze when I watched it recently and I'm sort of obsessed by it. It's flawed in many ways, but it mostly works. Most notable is the way Turner and Co shot Auckland. I've never seen Auckland look like that on screen, figures emerging from the night into neon illumination. This is obviously the result of a small budget, but it looks great. Robert Shannon is fantastic in it as well. It's hard to tear your eyes off him. Yes, the Squeeze locations... Well-spotted with regard to Brooklyn, Russell. It also includes scenes shot at 27 Birdwood Crescent (bedroom & lounge). The scenes shot at Backstage are also interesting because there are very very few photographs of that club in existence. Stan Gordon, who owned the club along with Lew Pryme, lost his whole photographic archive in a fire and it was a time when cameras were seldom in evidence, particularly at night. 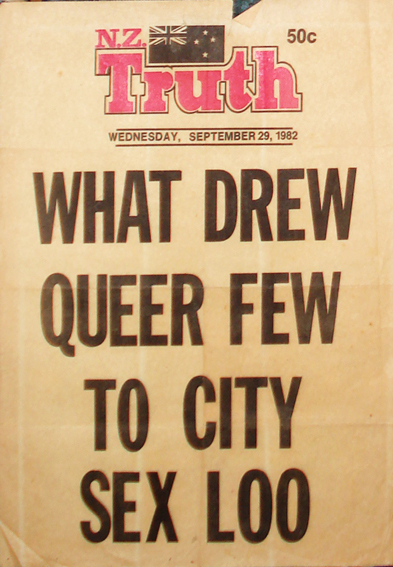 So finding an image of Auckland's biggest gay club in the late 1970s is nearly impossible. And yes, Jose. Squeeze, as I tried to say, came from nowhere in that regard. It was originally called Night Moves before it was retitled Squeeze. We'd never really had a nocturnal NZ before. And the movie was just so urban compared to other film versions of us. I think basically it was shot nearly entirely within 2 kilometers of the Auckland GPO. The last wrap-scene was the final shot at dawn in Myer's park, sort of appropriate for such a night-time production. It's cast of extras also deserves mention. Often they were the people who would have been in the location anyway. I enjoy scanning crowd scenes for individuals. The Auckland band Proud Scum play the gay-baiting roughs, which amuses me. 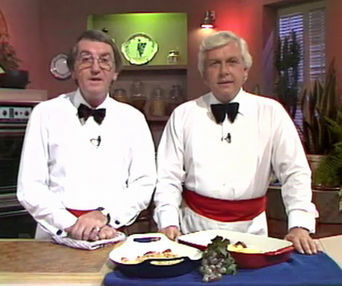 The initial version of the script finished with a gay wedding where 'people dressed in multi-coloured clothing stream down a hill'. I thought at the time the prospect was ridiculous. I was wrong. Still I do like that dawn scene in Myers Park as the closing music comes up. It’s cast of extras also deserves mention. Great piece of social history.